I have been asked by a number of people to make this article available online. It was written by Bryan Webb and first published in issue 65 of the 1940s Society Magazine of January / February 2011. When first published it started some heated discussion and is still an issue on which people hold very strong views. I reproduce it here so that it can be read in full by those who are interested. Whatever your view, the article has at least opened up the discussion and brought the issue out into the open. Ian asked me to contribute a little piece on the popular movement commonly known as wartime dances for the 1940s Society Magazine and I thought I had better narrow down the field . . . or we might need three or four complete issues to get started! 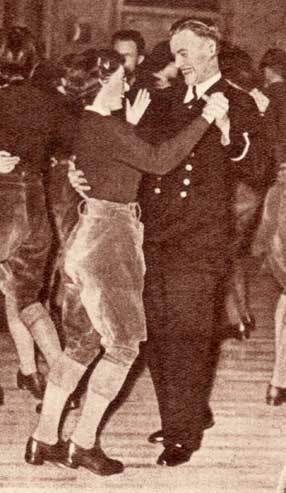 So rather than develop something on a broad scale, I thought I would focus my approach to concentrate on the historical accuracy of the prolific and varied 1940s dances which we see advertised across the country  dozens every month and many purporting to be wartime dances. Ian agreed and here we are. I thought it might be interesting to look at how historical inaccuracies are beginning to re-write history and some myths have already developed, one especially around a dance called The Stroll. You cant miss it  once seen never forgotten. A sea of individual dancers moving two steps to the left, two steps to the right, one step back and so forth. So . . . where is the wartime or 1940s reference for the dance? There isnt one. What you are watching is a variation on a 1980s rockin club dance performed predominantly by female dancers. So how has this dance become a staple of wartime events? Well, this is no new debate and provokes a hysterical body of people grouped as for and against. Dancing the stroll Lets be clear here about why we need historical accuracy. If we are representing something as a display of home front Britain or Life in 1942 we need to get our details right. There is no excuse for poor uniform turnout, inaccurate or inappropriate age representation, post-war props or modern influences when trying to create a living history experience. Theres no need to lecture the importance of this approach as we have many excellent historians who provide a superb turnout at many events all over the country and as we all know high standards create other high standards  the minute someone changes history by deciding that a particular detail is not important, we lower standards and replicate even more errors. That is obvious. It is just as easy to do it right and get it right as it is do it wrong and get it horribly wrong. So back to our dance example. So what if people are doing a dance which wasnt around in the 1940s? Does it matter? . . . No - not in private, closed events or pure dance experiences. It matters when this is presented to the public as a historical representation. Otherwise why bother to re-create something in such detail? 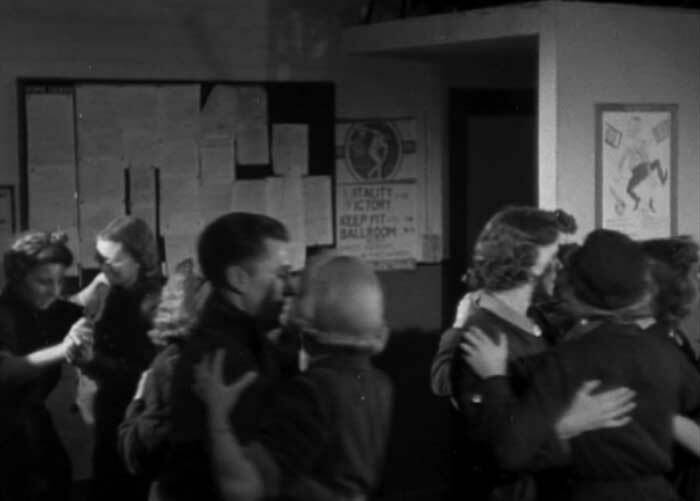 Our first wartime dances were named appropriately as The Blackout Dance and were run in a village hall in the middle of Hampshire where every window was taped, blackout curtains were made, white marking edges were painted  it took six people a whole day to dress the set. Even plug sockets were covered with wooden boxed fronts! Such attention to detail thrilled those who came from all over the country to attend. Imagine if that attention to detail had been ruined by the DJ playing a 1960s rock n roll track or someone turned up in a fancy dress outfit? So if we replicate detail and are interested in history  it matters. I have even seen a mass of re-enactors (how awful is that term?) dressed in tweed overcoats and fur jackets performing this bizarre line dance on steam railway station platforms  what has happened there and what parallel universe does this version of the British Home Front history exist? It is a twist of a time line  a twist of people replicating something which would not have happened. To comment on the Stroll as demonstrated at wartime events by people who seem to want to rewrite history or have no real knowledge of the period, I can categorically say that there was never such a dance in the 1940s. 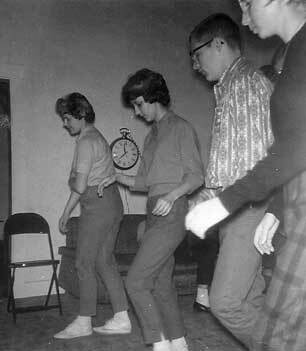 The social etiquette on the dance floor was to dance with a partner, even if it was girl with girl. Now for the REAL history of the Stroll that everyone on the dance scene partakes in (including those that demonstrate it as a wartime dance). As Bryan has mentioned the dance was created by a London dance teacher in the early 1980s, it was created as a dance for the Rockin scene of the time as an alternative to the rather square original 1950s stroll (see the party scene in the film The Wanderers for an example of the original). The new stroll was almost an instant success, it spread around the London clubs like wildfire & was an absolute hit at weekenders such as Hemsby. A common sight at any weekender was to see a dance floor filled with over 100 or more girls all strolling in the same direction to their favourite fashionable Rockin track. Some of the people on what is now called the 1940s scene (even though many of them listen & dance to 1950s Rockabilly & R&B as well as Swing), especially by the late 1980s were now doing the stroll. An interesting, outspoken and rather accurate representation of where the Stroll has come from and why from the knowledable Mr. Daye. If you are seeking to portray the period or designing a living history dance you should take the time to get it right. An excellent reference could be the 1946 British film Green for Danger where a wartime dance is part of the story line  novelty and foxtrot dances are presented in a clear setting for historians to study. The novelty dance The Paul Jones featured in the film, is one dance that we have introduced with great success during our themed dances. Then our very own Ian Bayley re-introduced us to The Blackout Stroll (which was an original 1939 novelty dance!) back in 1999 when Nigel Flying Home Bewley re-mastered the 78rpm disc from 1939 and Hoc & Mark from C&BLE researched the original steps from the sheet music and we had an accurate historical representation of a novelty dance which was seen for the first time at one of our Blackout dances in February 2000. However, if we look at another popular dance, The Jitterbug Stroll, we see an even more modern variant dating from 1992 which is reported as starting life with Ryan Francois, a Lindy Hop dancer and teacher. It is usually danced to a twelve bar blues structure such as Woody Hermans Woodchoppers Ball and appears as more of a choreographed group dance which would not have seen the light of day or the black of night during WW2! There are others and list continues . . . but our stroll through The Stroll is complete. Have fun doing your research, look for musical howlers on TV shows such as Foyles War with the British car radio tuning in to a swing station - what was that? OVERLORD FM ! Enjoy yourself but enjoy the detail and remember WW2 wasnt a musical with a Glenn Miller soundtrack . . . oh and as the old message goes Send 3/4d, were going to a dance! Sorry no requests tonight.